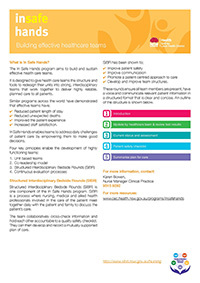 Nurses and Midwives have a major impact on the patient experience and at Sydney Local Health District we believe supporting our staff and promoting high quality, evidence-based care is integral to achieving positive patient experiences and safe patient outcomes. 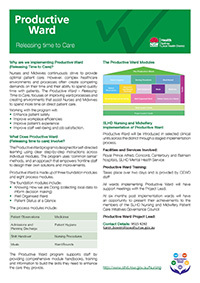 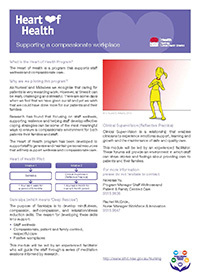 Each program provides a range of methods and tools to help staff make local changes to practice and processes to enhance the care environment. 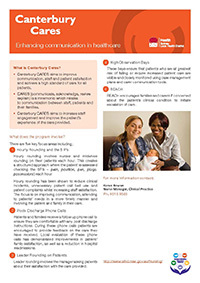 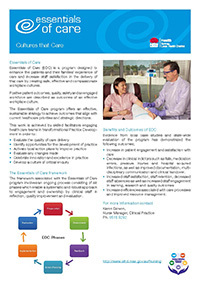 To find out more information on Patient Care Initiatives, click on a program below.